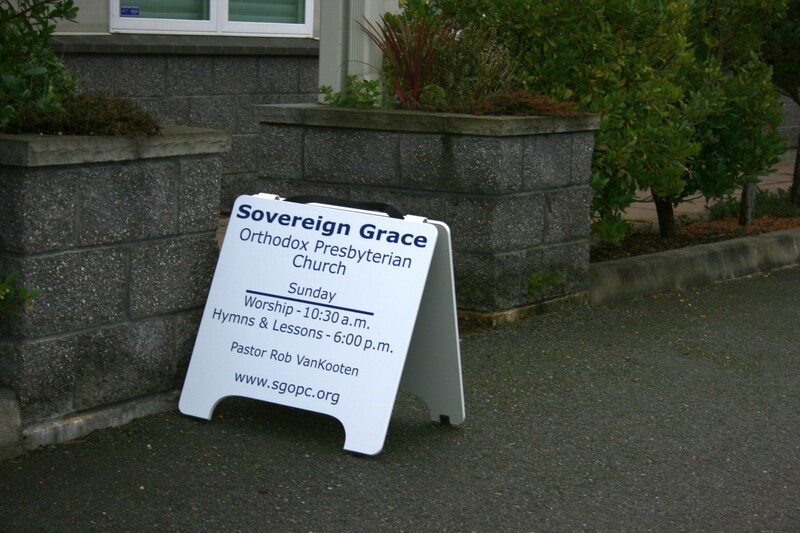 At Sovereign Grace Orthodox Presbyterian Church (SGOPC), our purpose is to glorify and enjoy our Sovereign Lord! Our focus is on our gracious Lord and Redeemer and the faithful worship of Him. 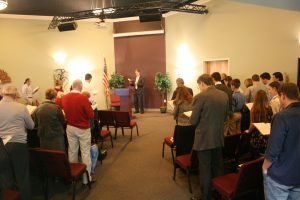 We have been worshiping the Lord Jesus Christ in Oak Harbor, Washington since 1994. We are part of the Orthodox Presbyterian Church, which was founded in 1936. …then we invite you to join us in worshiping and serving Him here on Whidbey Island. The word Sovereign means supreme ruler. At Sovereign Grace we believe that God has supreme authority over all his creation including man’s salvation which he provides to us by grace through the death and resurrection of his Son, Jesus Christ. At Sovereign Grace you will find straight preaching and teaching of the word of God. We believe that the Bible calls men of wisdom and experience (i.e., elders) to exercise oversight of God’s people in the local church. “Presbyterian” is derived from the Greek word meaning “elder.” The members of Sovereign Grace recognize that our elders represent Christ to the body.